A staffer distributed copies of the House tax plan. The housing industry is not happy with all its provisions. WASHINGTON — Home builders and real estate agents are ramping up a battle against Republicans in Congress with a simple message: Stop messing with the American dream. The object of their ire is the House GOP proposal to cap the total eligible loan amount for the IRS mortgage interest deduction at $500,000, down from the current limit of $1 million. Only about 6 percent of mortgages nationally are larger than $500,000, so in this case it’s the American dream for well-to-do home buyers. But it’s a lucrative and crucial sector of the real estate market in many places, including Massachusetts. About 8 percent of Bay State mortgages are larger than $500,000, according to the National Low Income Housing Coalition. So the industries that thrive on building and selling expensive houses are flexing their lobbying muscle in Washington. “We’re at DEFCON 2. We’re trying last-ditch diplomacy before declaring all-out war,” said Jerry Howard, chief executive of the National Association of Home Builders, describing his group’s stance on the sweeping tax overhaul bill unveiled by House Republicans last week. The industry won good news Thursday when the Senate apparently heeded the outcry and released a tax plan that keeps the mortgage deduction threshold at the current $1 million. It’s still far from clear how this debate will be resolved. The National Association of Realtors said it still objects to other aspects of both House and Senate bills. 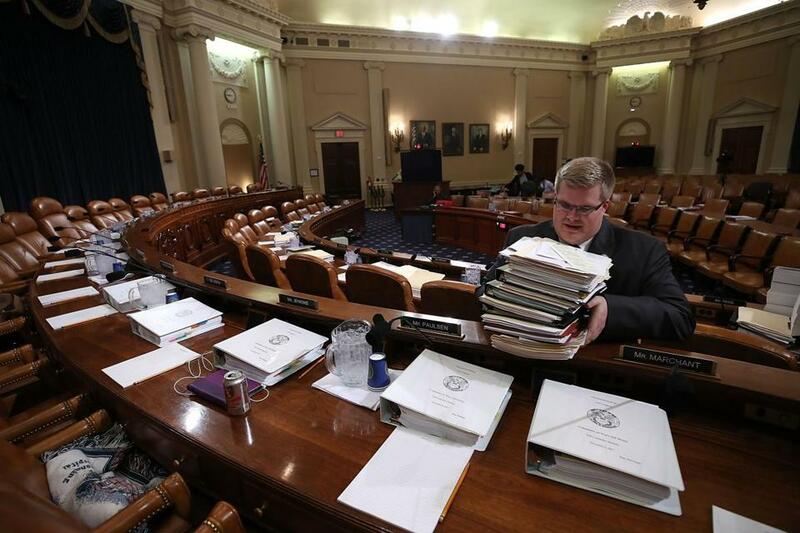 Neither the House nor the Senate has passed a bill, and if they pass competing measures, differences will be need to be ironed out and adopted by both chambers. The sweeping Republican tax overhaul plan has triggered an explosion of activity at lobbying firms across the capital as special interests from universities to biotech firms to hedge funds beseech lawmakers to spare their cherished tax breaks. But few of those fights promise to be as intense as the one over the mortgage interest deduction, as well as the elimination, in the Senate plan, of the deduction for local real estate property taxes. The House would cap that deduction at $10,000. These deductions are cherished by millions of homeowners — especially in high-cost areas, like the Boston suburbs — and also are considered vital to professionals who make their livings building, selling, and financing America’s houses. The potent lobbying groups are running online ads in key GOP districts, and targeting potentially sympathetic lawmakers in both the House and Senate. “The Republican tax plan is bad for middle-class families. It’s bad for homeownership. It’s bad for America,” threatens an online video ad that Howard’s home builders group has run in recent days. 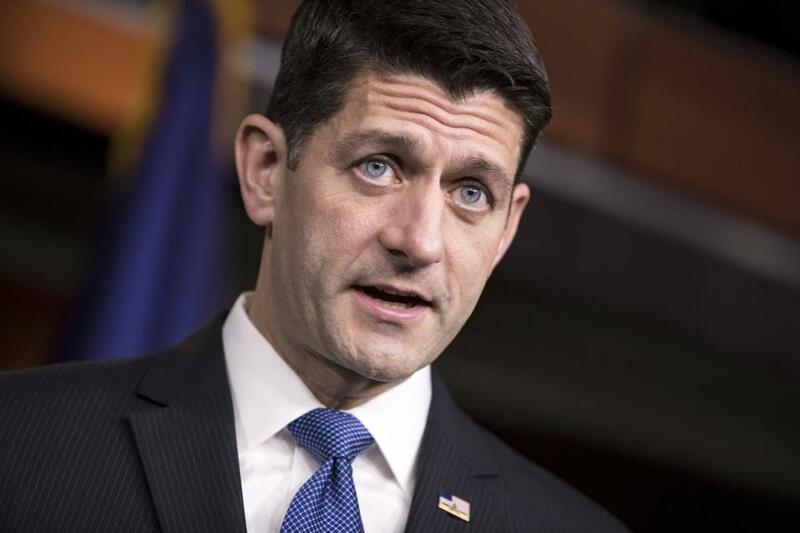 The rhetoric highlights the serious challenges lawmakers face as they search for ways to offset the steep reduction in the corporate tax rate, from 35 to 20 percent, that is the centerpiece of the overhaul. “This bill is a direct threat to consumers and homeowners,” warns a sample e-mail the National Association of Realtors is urging its 1.3 million members to send to their representatives and senators as part of a national “call to action.” So far, more than 160,000 such messages have been sent, the group said. The realtors group is planning to turn the heat up further next week by flying members from around the country to Washington to lobby their lawmakers in person. Republicans may control all the levers of power in Washington, but they’ve struggled to rally together on other major legislative agenda items, most significantly on their repeated attempts to repeal the Affordable Care Act. Changing the tax code is a no less complicated task, and already major fault lines have opened up. In the House, rank-and-file Republicans from states with high housing costs and high taxes — the two tend to go together — have balked at efforts to scale back the state and local property tax deduction and the mortgage interest deduction. Representative Darrell Issa, who represents suburban San Diego, was the latest to announce his opposition to the House GOP bill and the first California Republican to join the revolt over the state and local tax deduction changes. “I cannot endorse changes that may make the tremendous burden felt by California taxpayers even worse,” Issa said. The median home value in Issa’s district is just above $708,000, according to Census data, and nearly 68 percent of homeowners in the district claimed the mortgage interest deduction in 2015, according to IRS data compiled by the realtors. Industry officials also say the GOP plan to double the size of the standard deduction, coupled with severe cuts to the popular state and local deduction, mean far fewer Americans will choose to itemize their deductions and would simply forgo the mortgage deduction. For some, that would reduce the financial incentive to buy a house. NAHB estimates just 10 million Americans would use the mortgage interest deduction under the House bill, less than a third of the 34 million who currently take it, the group said. “This is a very big issue for our members, and we are going to be putting significant time and resources into” trying to change the bill, said Jamie Gregory, deputy chief lobbyist for the National Association of Realtors. After the Senate said its bill would preserve the current mortgage deduction threshold, up to $1 million, the realtors group still objected to the tax proposals. “We’ve already seen that a near-doubling of the standard deduction, combined with the elimination of other deductions like the state and local tax deduction, can turn the American Dream into a nightmare for families, as the rug is pulled out from under them. Simply preserving the mortgage interest deduction in name only isn’t enough to protect homeownership,” said the group’s president, Elizabeth Mendenhall, a realtor in Columbia, Mo. 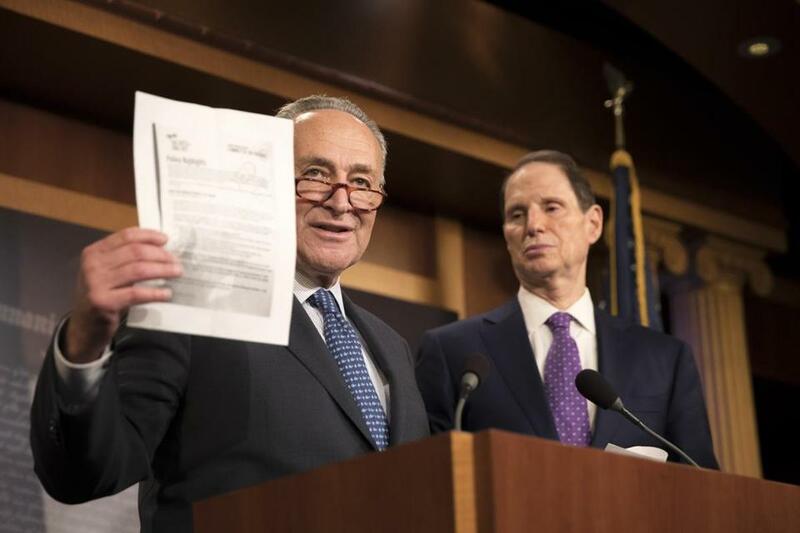 Senate Minority Leader Chuck Schumer (left) and Senator Ron Wyden, Democrat of New York, spoke about the Republican tax plan last week. The home builders are waging a targeted lobbying campaign for the time being, rather than a saturation attack. Builders around the country who have personal relationships with key GOP representatives and senators are reaching out to those lawmakers, said Howard. Key targets include Republican House members from states with high housing costs or high taxes, like California and New York, and the House Freedom Caucus, an influential group of conservative lawmakers. The home builders are still trying to sell the idea of a new homeownership tax credit they’ve proposed, but if that doesn’t work, they are pushing to restore existing breaks. With members spread across the country in nearly every congressional district, both the home builders and the realtors are considered among the most powerful lobbying forces in Washington, writing big checks to political candidates and directing a lot of firepower on Capitol Hill. “They’ve been very powerful opponents to any changes to the mortgage interest deduction for years,” said Diane Yentel, president of the National Low Income Housing Coalition. Her group has long advocated for overhauling the mortgage interest deduction to make it less skewed to the richest homeowners — who’d already be buying houses without a boost from the government — and toward helping those with the greatest need for secure housing. The group applauded the move to cap the deduction to $500,000 in loans, in combination with doubling the standard deduction. However, the coalition still considers the GOP legislators’ priorities seriously skewed. “The problem is that they take that savings and use it to pay for tax breaks for some of the wealthiest people and [corporations] in the country, and to us that’s completely unacceptable,” said Yentel.